This is /STUNNING/. Would you believe that I don't own a single holo polish yet? Insane! 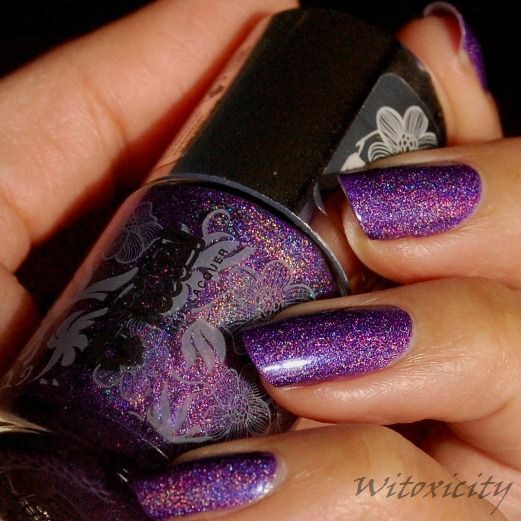 Your nails look gorgeous, by the way :) I hadn't heard of this brand before, so thanks for spreading the news! *legasp! * The gorgeousness! It's blinding and grabbyhands-inducing :(. 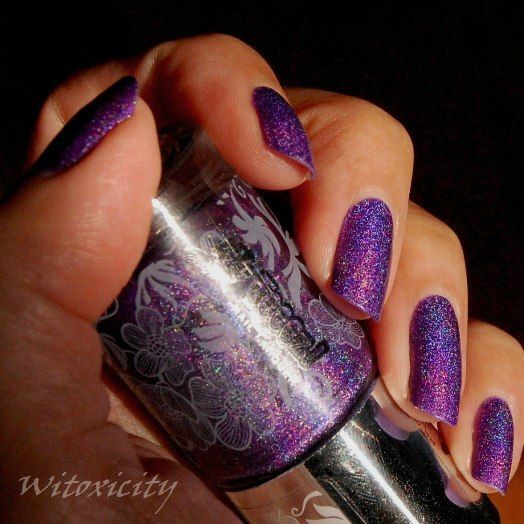 Naturally, one should share the wealth and tell us where one could procure a specimen of this fine nail lacquer, no :)? I fell in love with this polish. Yay! It’s KTee-approved! :D Thanks! 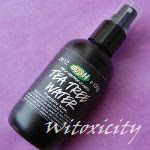 Thank you, oh knowledgeable one, for your information :D! I think I remember seeing it at the Etos in Schiphol now that you mention it :o. Need to remember to check it out whenever I'm there again :/. Thank you sooo much for showing this one...because I forgot I bought this one last summer and never wore it or swatched it. After seeing your pictures I'm a bit hesitant swatching it, your pictures are amazing! Oooooohhh Ahhhhhh! My eyes! It's too beautiful! 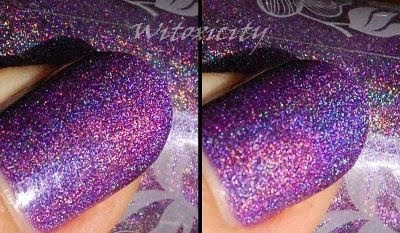 And I thought Color Club Wild at Heart was a nice purple holo...!